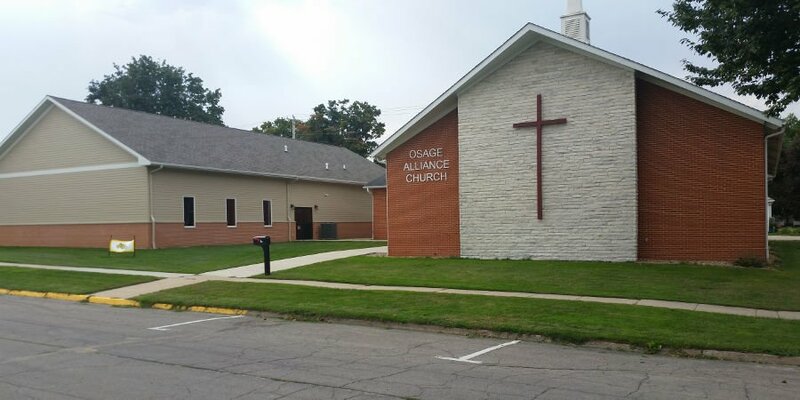 Throughout the year, the Osage Alliance Church has various mission projects going on. 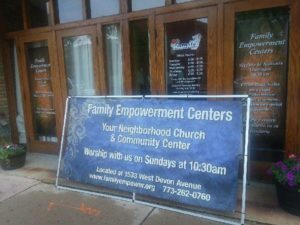 March 28 – Noon Lunch with the Mission Committee March 28 6:00PM – Youth Dinner at the Youth House March 29: Noon lunch for women with Norma at Sandy Gilbert’s 6:00PM – Community Groups gather with Norma in the FLC March 30 – 6:00PM – All Family Gathering with Norma in FLC hosted by the Men March 31 – 10:15AM – Norma will give the message during regular service Noon: Community Group Gathering with Norma in the FLC. 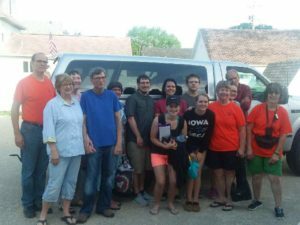 On Sunday, June 17, our Mission Team departed at 8:00AM to journey to Chicago, Illinois, where they will spend the week helping at the Alliance Envision Mission. The team will have training every morning, help with community service projects in the afternoon, and assist with soccer camp and VBS in the evenings. Team members are: Liana Church, Jess, Sadie, Austin and Genesee Clayton, Cynthia Goyette, Kim Hinrichsen, Cheryl Olson, Jonny Olson, Jim & Anna Stern, and Craig Winters. 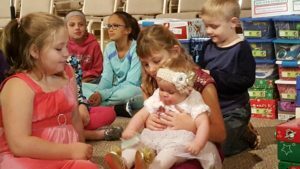 They will be returning to Osage on Saturday, June 23, and sharing about their work during church on Sunday, June 24th. Please feel free to join any of the meetings. A group of prayer warriors meet the 3rd Tuesday of each month in the church library to pray for Alliance missions and missionaries world wide. The group also prays for other missionaries who have grown up in the Osage Alliance church or have direct ties to the church. 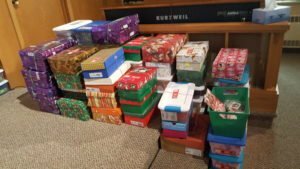 Most recently, they completed shoeboxes for Operation Christmas Child with the Samaritan’s Purse organization. 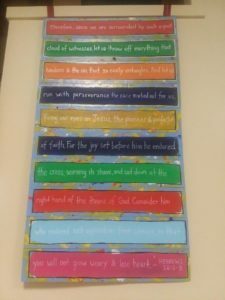 This mission project started during the Vacation Bible School program held in August. 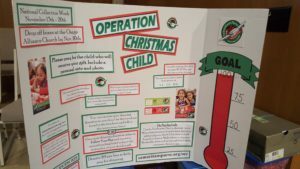 Those in attendance were encouraged to bring money to help with the postage and supplies for the shoeboxes. 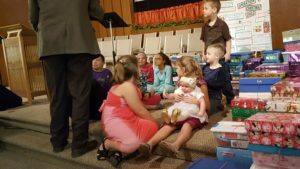 When AWANA started in September, the shoebox ministry became their mission focus for the 2 months. 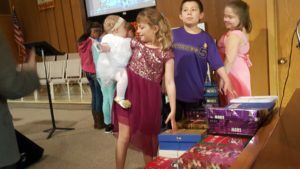 AWANA clubbers brought supplies for the shoeboxes, shoeboxes they completed with their families, and money to be used toward postage or supplies. 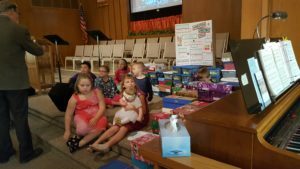 A church wide goal of 100 completed shoeboxes was set before the congregation. This goal was more than double what was sent in 2016! 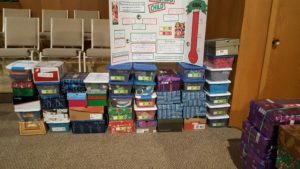 On November 12th, 97 shoeboxes were displayed in the front of the church! 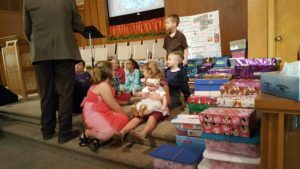 The children and congregation prayed over these shoeboxes and were asked to continue to pray for the children around the world that might receive one of these shoeboxes.